Editorial: Does Anybody Need the Xbox One X? Off the top I should offer the following disclaimer - I have not bought any Xbox console since the 360 in the latter 2000's, and I bought it specifically to play Halo 3. You would think that would have given me an incentive to buy the Xbox One a/k/a "Xbone" to play Halo 5 in 2015, but I never found a price point I was willing to jump in on a console. By the point last year I was just about ready to say "f$%$ it" and take the plunge, an alternate version of the console was announced. What you see pictured to the right is the Xbox One S, marketed at the time as "the most powerful console on the market." Power has not been a good way to market a home game system to me. What does power mean to somebody who still enjoys playing Super Mario Bros. 3, Chrono Trigger, Mega Man X4 and Bonk's Adventure? Not much. I value gameplay over high resolution graphics, and good storytelling over processing power. That doesn't mean I won't invest in a new console that offers me a good experience, but power alone is not the tipping point to spending hundreds of dollars, which is never an easy sell in the first place. Still the Xbox One S gave me some reasons to reconsider wanting the "Xbone" given it had some non processing power advantages. The new version was 40%, the layout was redesigned to make USB ports more accessible, and although I don't have a 4K television that could take advantage of this feature, the One S "natively" offers that higher definition resolution which (at the time) its competitors did not do. This actually got me thinking I might want a new TV before I got a new Xbox, which unintentionally set back my desire to purchase the latest Xbox further. I never did get around to getting that 4K TV, because with no devices that output that resolution, there just wasn't a need to make that plunge. Still I was getting tired of the wait, and finally felt that "Halo itch" getting big enough to scratch, when E3 announced ANOTHER new version called Xbox One X. 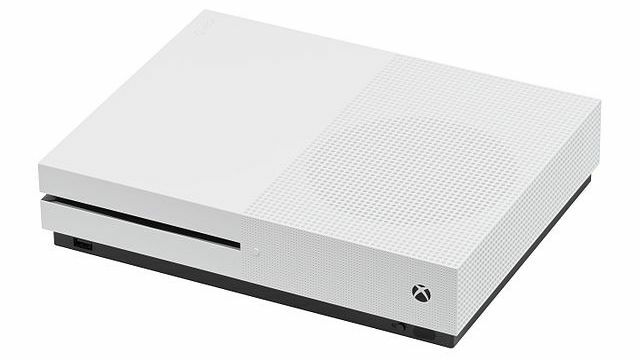 It's a further revision of the improvements that Microsoft already made with the One S, promising a 31% improvement in performance and flawless scaling of previous Xbox One games that weren't 4K to make them look and perform better. There are a bunch of other "power" stats I could quote to you that are pretty meaningless to a majority of the audience, such as the vaunted "6 teraflops" of graphics processing, but when you get down to the nitty gritty the whole point of the redesign is that Microsoft lost their "power edge" to the PlayStation 4 Pro and its "4.2 teraflops." Gaming consoles have essentially become a nuclear arms race, with the major players always having to one up each other, while the rest of us sit on the sidelines and wonder if it won't end in disaster. Since I never bought the Xbox One, and I never bought the Xbox One S, it's probably fair to say that I'm not the one to call the Xbox One X an unnecessary console. It IS fair to say that Microsoft has created a whole lot of marketplace confusion, with "One X" and "One S" sounding virtually the same rolling off the tongue, and it also seems like the kind of move that would irritate people who decided to take the plunge and upgrade their Xbox One only for Microsoft to say "Sorry about that - we told you this was the most powerful home console but really THIS ONE is the real deal. Trust us." If you're lucky you didn't buy either of the previous two before this third version, and if you did you're now left to ponder the upgrade for either the first or the SECOND time. It's also fair to say that the immersive reality of video game worlds had already reached a high point back in the PS3 and Xbox 360 generation. Let me put it this way: you could see a clear difference between the original PlayStation and PS2, you could see a smaller but noticeable difference between PS2 and 3, and since I got a PS4 I just don't see much difference at all. The advantages of the PS4 for me are the integrated streaming and sharing features, and the fact I can use it like a Roku box to access Netflix and YouTube. Do I need a Xbox One to do those things? No. Does an Xbox One owner need the S to do those things? No - the One already can. Does the S owner need the X? Unless you're the kind of person who has to always have "the newest" or "the best" I'd argue NO as well. But hey if Microsoft can convince people to buy the same console three times my hat's off to you.